Discussions Magazine Music Blog: IMPORTS: The perfect stocking stuffers! IMPORTS: The perfect stocking stuffers! Looking for the perfect gift for that music lover in your life? Consider buying them an import or two... or ten! What is an import? It is a title that is released and manufactured outside of the country in which you reside in. For example, if you live here in the U.S., then anything released outside of the continental United States is considered an import. Yes, even if it comes from our northern neighbors, Canada! Imports can be reissues not available here in the U.S. or new albums that are not scheduled to be released here. 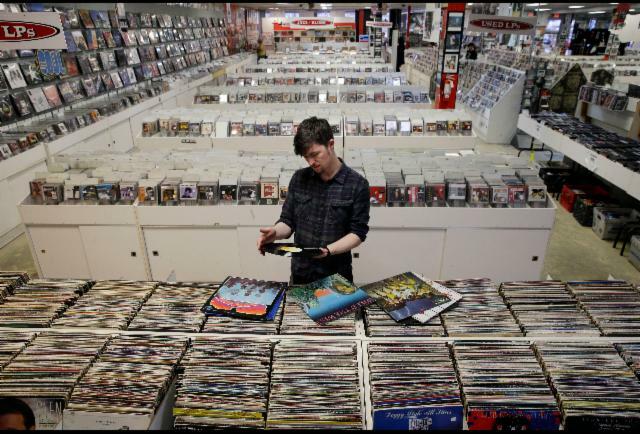 Imports can be CDs, LPs, DVDs, Blu-Rays and/or video games. Music collectors LOVE import releases. Trust me. Generally, music/movie/video game titles are imported because they are NOT currently being manufactured in the U.S.! They are either deleted or were never released here. To get you started, here are 50 of the biggest selling import titles of 2016. As you can tell, there are quite a few familiar names and releases spread across all formats. We've supplied the UPCs so they are easy for you to track down. Keep giving the gift of music... and buy yourself something while you're at it!